October 8, 2016. NYC Ballet workshop with Teresa. Once day only. Contact to join. Kinetic Art and Dance, Evergreen. Summer Dance Intensives. Helena, MT. March 2016. Teresa returns to Colorado. Classes and privates resume at Kinetic Arts. Kinetic Art's inaugural production of "Evergreen's Cracked Nut"
School's production of Sir Anthony Hopkins "The Waltz Goes On"
at La Guardia College. Teresa, Associate Choreographer. Master classes at Broadway Dance Center, CTP. April 24-27 Teresa performs solo show "My Time"
Choreographer "Canta Um Tango" in "Tango Fever"
Thurs-Sat at 7pm, and 2pm Sat matinee. with Stefan Zawitovski "El Polako"
Feb 14, 2013 premiere of "Blue Moon"
intensive 7-wk workshop of "Slippers to Heels." Sept 19 - Oct 7 Teresa performs supporting role in "Tango Fever"
at Celebrate TangoFestival in NYC at Barush College Theatre. GRAND OPENING Soiree for "VOLGENAU STUDIO"
Pas de deux performance at Lefrak Hall, Aaron Copeland School of Music. 8pm. Original composition by William Wheeler. 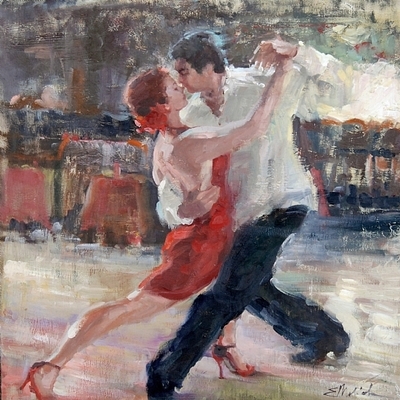 May 11, 2012 Teresa performs tango at The Foundry Anniversary event. March 1, 2012 Teresa teaches "Theatrical Jazz Masterclass"
February 21 -March 29, 2012 Teresa's teaches "Slippers to Heels"
January 28-29, 2012 Pro-Insight for the Dance Professional with Teresa Anne Volgenau. "Be Pro" Choreography Intensive. Technique/Theory/Exploration. at the Tango Nuevo -Los Tres Pablos Festival in Lodz, Poland. September 10, 2011 Teresa teaches special "Slippers to Heels"
for Rocky Mountain Theatre Company- Denver production of "Fame"
with Grisha Nisnevich at the Colorado Mayor's Mansion. April 17, 2011 Teresa teaches workshop of "Slippers to Heels"
**March 17, 2011 Teresa returns to Europe. Choreographic Projects, Dance/Argentine Tango workshops, and performances. at the Tucson Tango Festival with Grisha Nisnevich. and will be out of commission for approximately 12 weeks. 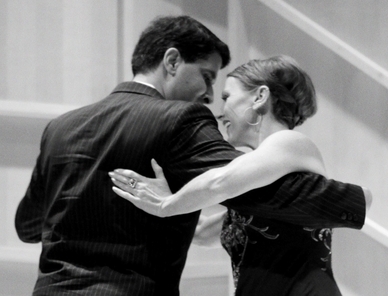 Argentine Tango with partner, Jes Rodriguez, at First Bank Event Center in Denver, Colorado. at Na'Amat Private Event in Los Angeles, CA.